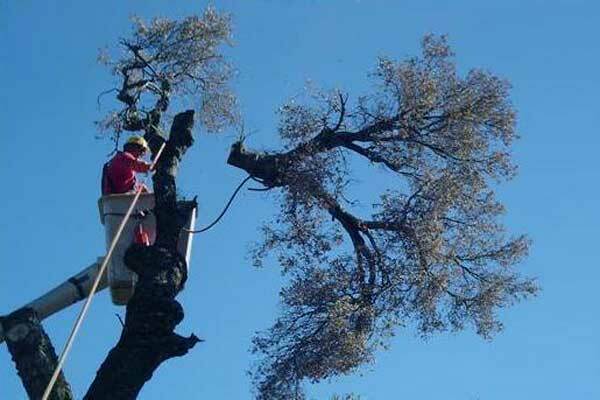 Removing a tree is an important decision that can effect many things and should not be taken lightly. Dead or dying trees should be removed for health, safety and aesthetic purposes. However, in certain instances live trees should also be removed when they interfere with other trees, buildings, driveways and utility wires. But think twice, as it takes years and often decades to replace a tree once removed. Keep in mind that removing a tree can affect more than just your property. If a tree is on or near a property line, removals can lead to disputes and/or legal action. The best strategy is communication with all parties involved and rely on the skill and expertise of a certified arborist like Specialty Tree Surgeons. If a tree surgeon that you hire fails to follow "known practices" and or fails to comply with industry standards a lot of damage can occur, as well as, serious injury when dealng with power lines. All things considered, it's best to leave tree removal it in the hands of the professionasl. Large trees should be removed by a professional as guide ropes and mechanical equipment may be required for removing large limbs before felling. If a tree is being removed due to interference with utility lines, you should contact your local utility company as well. Tree removal is not as overwhelming as it seems, but certain steps must be followed in order to achieve a safe and successful removal. Call Early Piety, an experienced tree removal veteran, for a consultation before anybody starts cutting anything.